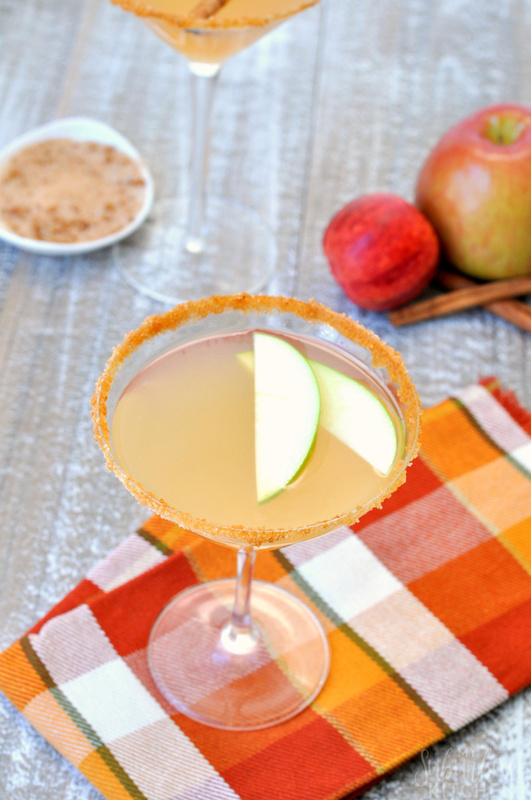 A Cinnamon Apple Martini is the perfect fall cocktail! 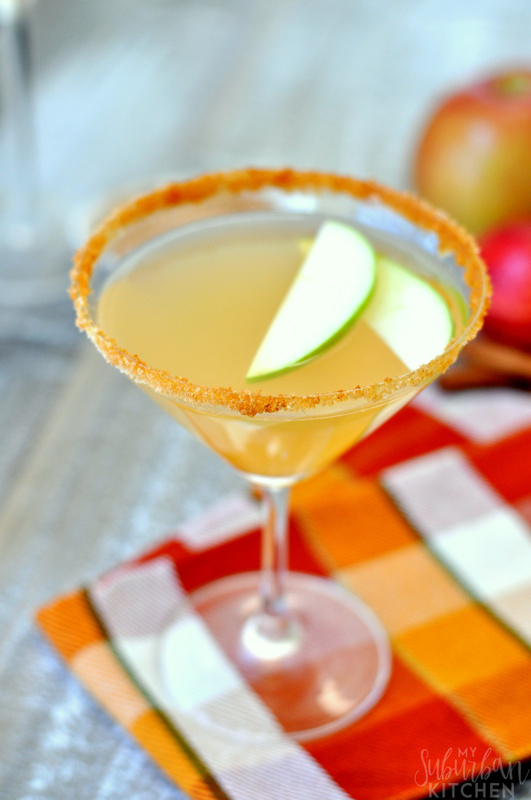 From tailgating to Thanksgiving, everyone is going to fall in love with this apple martini recipe! I am a big wine lover and definitely love going wine tasting to find the perfect bottle to match whatever meal I am serving. Mathlete, on the other hand, much prefers beer. Then, there are others in our circle that tend to be more cocktail drinkers. So, for holidays and parties, I like to offer a mix of all three so everyone can find something they like. For Thanksgiving, I am thinking a Cinnamon Apple Martini will be the perfect cocktail option! 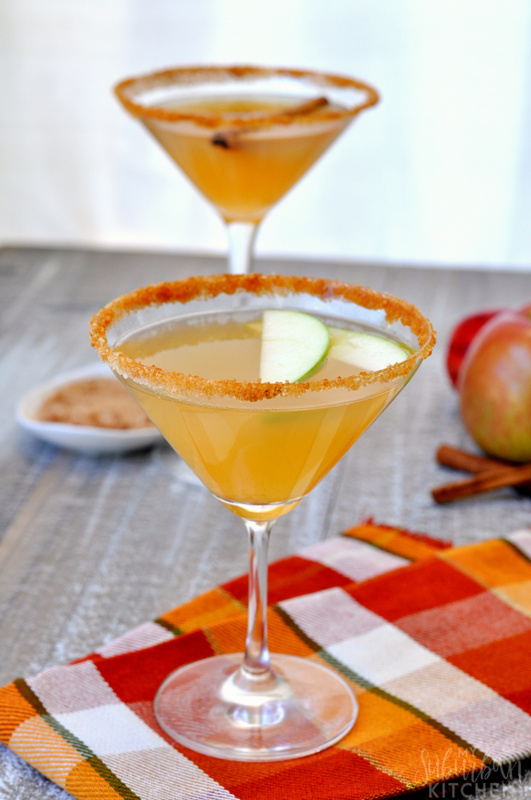 A Cinnamon Apple Martini starts with the most delicious apple syrup made from fresh apple cider. Honestly, I could just pour the syrup over a hot waffle and be done. But, it also goes great in cocktails! This cinnamon appletini recipe might start a small debate over which is better in a martini: gin or vodka. I use gin here but vodka would work equally as well based on your liquor preference. If you want even more cinnamon taste, grab a cinnamon infused vodka! For my caramel apple martinis, I mixed a little bit of cane sugar and ground cinnamon for the rims of my glasses! To do this, simply mix the sugar and cinnamon together on a small plate. 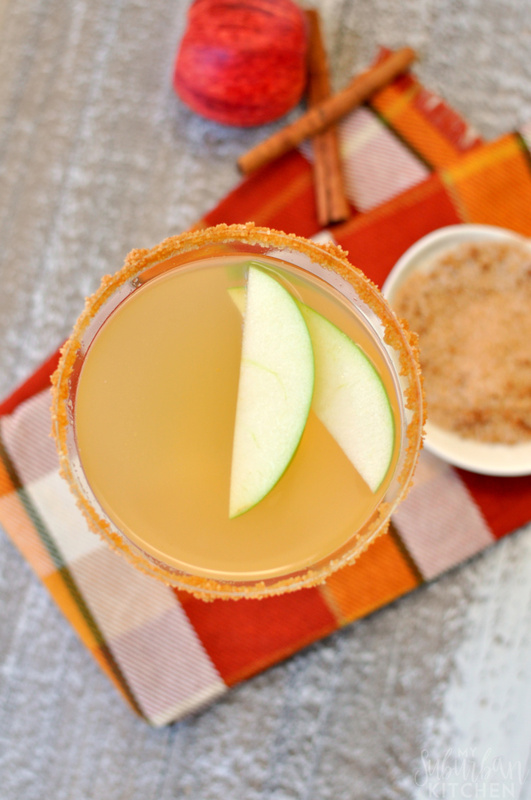 Dip the rim of your glass into some apple cider and then dip it into the sugar mixture. You can also garnish them with sliced apples and cinnamon sticks too. What are your favorite fall drinks? Do you like to serve a signature cocktail at parties or holidays? In a small saucepan, combine apple cider, sugar and cinnamon sticks over medium heat. Bring to boil and then reduce to a simmer. Simmer for 10-15 minutes, stirring occasionally. Remove from heat and let cool. The syrup will thicken as it cools. In a cocktail shaker, combine gin, apple cider syrup and ice. Shake and strain into martini glass. It’s five o’clock somewhere!! Looks good! Thanks for sharing on the What’s for Dinner link up and don’t forget to leave a comment at the party – Next week’s features that also leave a comment get pinned, yummed and tweeted!